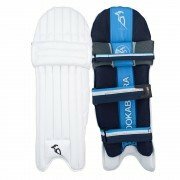 Kookaburra Batting Pads new for 2019 at All Rounder Cricket. Kookaburra manufacture cricket batting pads for some of the best players in the world. They are renound for their excellent quality. Kookaburra leads the cricketing world with expertise in product and graphic design that ensure Kookaburra products are of consistently higher quality and specification than other products in the market. The 2019 Collection has been developed with the assistance of both ‘Team Kookaburra’ and leading club players to produce the definitive portfolio of products, catering for players at every level of the game. Kookaburra brand ambassadors, Jos Buttler, Martin Guptill, Glenn Maxwell and Usman Khawaja. Kahuna Pro, 1000 and 500 - The Kahuna range has been the flagship Kookaburra range for many years and will continue to be so in 2019. 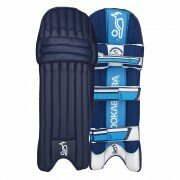 Surge Pro 800 and 300 - Kookaburra Surge batting pads offer a sleek and lightweight design offering the best in protective engineering and modern style. Ghost Pro, 600 and 200 - The most popular range of 2017 is back with a fresh new design and now offers a full range of protection with sleek stylish design. The Kookaburra Ghost range is sure to be a massive success in 2019. 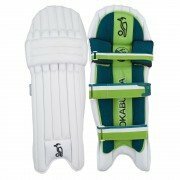 Fuse 700 and 250 - Kookaburra Fuse batting pads, traditional style 7 cane width legguards offering unparalleled protection and playability. Kahuna Pro, 1000 and 500 - The Kahuna range has been the flagship Kookaburra range for many years and will continue to be so in 2017. Ghost Pro, 600 and 200 - The most popular bat of 2016 is back with a fresh new design and now offers a full range of bats, pads and gloves with sleek stylish design. The Kookaburra Ghost range is sure to be a massive success in 2017.